AIM-IT is not a training institute; it is career development center on Programming Classes. We offers live project training on Android, Training program at AIM-IT has been designed to fulfill the needs of every student. GURU Infotech believes that success follows excellence and excellence comes with Knowledge. 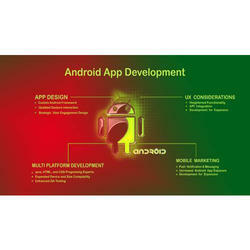 Android is the world's most popular mobile platform for creating apps and games for hundreds of millions of mobile devices in more than 190 countries around the globe.